Casket – displays and contains the deceased, either for burial or cremation. Gravesite – the space or plot. 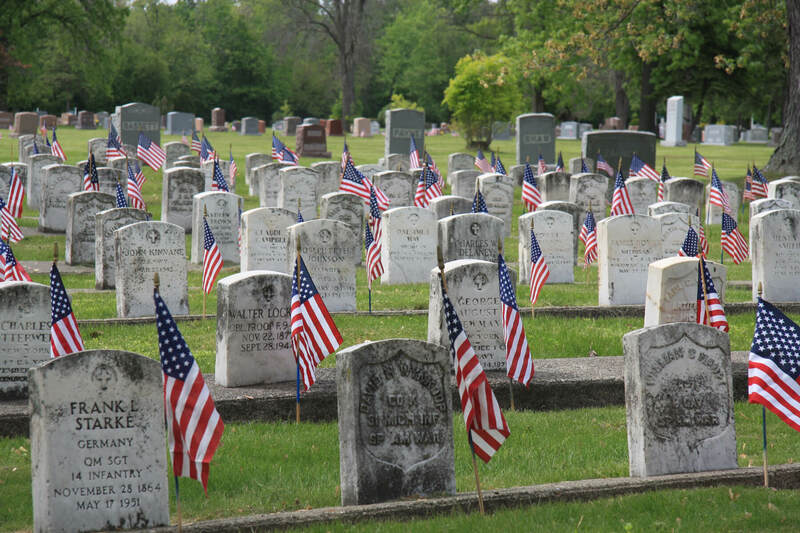 With a finite amount of space reserved for cemeteries nationally, plot prices have risen and will only continue to rise exponentially every year. Many cemeteries are electing to build more mausolea and columbaria and with this, above-ground burial has become more popular and price-effective. Regardless of the method you choose, advanced planning and purchasing cemetery property and merchandise NOW will freeze the costs at today's prices and as a result, will save you hundreds, potentially thousands as opposed to purchasing LATER. With pre-planning, we also offer payment options not otherwise provided at the time of loss. To learn more about pre-planning, click here. Please contact us to inquire on plot availability, monuments, memorials and pricing. We would be happy to talk with you and your family regarding all your options at a time and place that is convenient for you. Our counselor will also provide you with a complimentary Family Planning Organizer. Contact us and set an appointment TODAY! First, one must puchase a plot or plots. To ensure that your spouse and/or family is buried together, the purchase of multiple plots is advised. Cemetery plots are much like real estate plots in that there is rarely uniformity in pricing and pricing structure is based on various factors such as location, market and availability. Second, one chooses a monument or flush memorial to mark the plot location(s). A single monument or memorial may mark a single location or multiple plot locations. The options for ground burial are vast. Memorials and monuments are offered in various types of materials with granite and concrete being the most common. We strongly advise that these 2 steps be done consecutively, without delay in-between. Our experienced and knowledgeable counselors will aid you through the steps and offer options so that completing both steps within a single purchase is manageable and affordable for you and your family. We provide a complimentary Family Planning Organizer to get you started in this process and gain peace of mind in making these decisions in advance of death. Contact us to obtain a Family Planning Organizer TODAY! The burial vault may be made out of various materials and protects the casket and cremated remains from earth shifts and heavy machinery. It is a requirement of the cemetery to have one. Cremated remains must be buried in a vault. Please refer to the Cremation page for more info. The Roman Catholic Church now permits cremated remains to be interred in the ground or niche. The Church does not permit personal storage of cremated remains. Pet burials are not permitted in the same area as human remains. For that reason, our Park has areas dedicated as a Pet Cemetery. Pets may have a full traditional burial or cremated remains may be interred.